I've heard that there are people who love burpees. Frankly, I think the existence of those people might be an urban myth. To me, there are two kinds of people: those who HATE burpees, and those who are willing to do them. "Love" is a mighty strong word for the fitness move that finds its way into a lot of workouts. The thing about burpees is that they're hard, because they are effective. They use your entire body, and no equipment. You can do them anywhere, anytime, meaning they're ideal and easy to toss in to any workout. Not particularly impressive to watch, they're intense because your heart rate skyrockets no matter what your fitness level, especially because it involves a lot of up and down motion. Eat too close to a workout and your burpees become barfies. Fellow blogger Scott, who also did the Outdoor Fitness Challenge class, has mentioned burpees a lot in recent posts. He has questioned the validity and usefulness of the movement. In particular, he's wondered about what kind of sick and twisted mind would create such a punishment. He's got a few choice words for that dude. Well, you can't put questions like that out there to a librarian and history major, and expect them to remain unanswered. I was curious: where DID the Burpee come from? Bad news, Scott. You will not be able to tell the inventor of the burpee what you think of him. He's long gone. They've been around since the late thirties, and have their roots in YMCA history. And we all might as well get used to doing them. As an exercise with overall efficiency, they're right up there with the push-up. So, the next time you do a Burpee, whether it's one or one hundred, you can thank or curse Royal H. Burpee for studying fitness and coming up with the most scientifically taxing, hard-core, efficient bodyweight fitness movement there is. 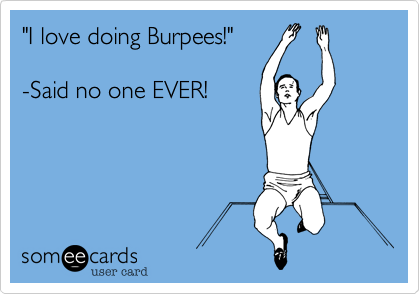 Ever do a burpee? Or 30? Ever tackled a circuit that requires, say, five rounds of 15 burpees? If so, you might want someone to blame for bringing this uniquely punishing movement into the world and to the attention of coaches, trainers and fitness enthusiasts. So at whom can we shake our sweaty, exhausted fists? It's difficult to know exactly who's responsible for today's burpee, which is often programmed to be done in multiple hi-rep sets (though it's fun to picture an old-timey villain twisting his mustache and laughing uproariously as legions of exhausted exercisers drag themselves through each rep). We can, however, identify the one person who is most certainly not to blame for the movement as we know it today: the exercise's inventor and namesake, Royal Huddleston Burpee. Royal H. Burpee was a physiologist in New York City who invented a much milder (and less tormenting) version of the movement, intending it to be done just four times in a row as part of a fitness test. In fact, he even spoke out against his movement being done in high volumes. Although there are only two remaining copies of Burpee's thesis, we were able to get the low down on the origins on the burpee from the granddaughter of Burpee himself -- Sheryl Burpee Dluginski. Burpee Dluginski explained that her grandfather was a "fitness fanatic before Jack Lalanne" himself. At a time when exercise science was mostly concerned with measuring the fitness of already fit people, Burpee wanted a simple way to assess the fitness of everyday folks (starting with the new members of the YMCA in the Bronx, where Burpee worked). So in 1939, when Burpee was a Ph.D. candidate in applied physiology at Teacher's College, Columbia University, he invented an as-yet-unnamed, four-count movement that would provide a quick and accurate way to evaluate fitness. Only later would it evolve into the six-count beast we know today. To administer the fitness test, Burpee Dluginksi says that her grandfather took five different heart rate measurements before and after four burpees were performed and came up with an equation that accurately assessed the heart's efficiency at pumping blood -- a good measure of overall fitness. Drop to a pushup -- your chest should touch the floor. When you consider that burpees are often done in high-rep sets (say, seven minutes of burpees or a 100-burpee workout), you can imagine how quickly the misery accumulates. After all, a single burpee demands that your entire body work to perform six bodyweight movements in a row (including three separate jumps) that take you from vertical to horizontal, back to vertical again. The fact that the burpee is used as a punishment -- as in Spartan Races, which require participants to do 30 in a row if they fail to take on an obstacle, or at CrossFit gyms that assess a burpee penalty for arriving late to class -- tells you pretty much everything you need to know about this killer movement as we now know it. Three separate jumps and a pushup (or some variation of it): It puts the hurt on you, and it does it good and fast. Although the original burpee was far less punishing than the move we know today, it was nevertheless considered especially taxing, so much so that the military adopted it in 1942 as part of its fitness test for men enlisting in the armed services during World War II. As part of the overall test, soldiers were required to perform "squat thrusts" (as Burpee's burpee was known at the time) for 20 seconds straight. By 1946, however, the military required burpees for one full minute -- performing 41 reps in that time was considered excellent, while fewer than 27 was considered poor. But Burpee never intended his movement to be performed in such high volumes. In fact, Burpee Dluginski says that her grandfather rewrote the foreword to the 1946 edition of his book to explain that he believed that the military's modification to his fitness test is strenuous and suitable only for those already in good cardiovascular health. According to Burpee Dluginski, her grandfather didn't like how burpees came to be used -- he believed that high reps of the movement could be bad for knees or dangerous to the back, especially for anyone who lacked core strength. In short, Burpee never intended his modest, four-count move to be used as a particularly hard-core way to get in shape. But thanks to the popularity of high-intensity strength and conditioning programs like CrossFit and boot camps, and events like Spartan Races and Civilian Military Combines, it's a little late to be asking "WWRHBD?" Not only is the six-count burpee probably here to stay, it's brought along its even more challenging friends -- variations like burpee box jumps, the dumbbell burpee, the (ouch) burpee pull-up and countless other varieties. Basically, at this point in time, the easiest burpee we can hope for is one that is way more taxing than the one Burpee himself thought was already too strenuous. Next time you're burpee-ing, just keep in mind that even though you're struggling, and going against Dr. (Burpee)'s orders, you're not suffering alone. Nerd Fitness posted a fantastic blog dissecting various fad diets and exercise programs. Offering a balanced approach ('cuz, y'know, nerds are like that: do your research and weigh the pros and cons), he acknowledges the good and the bad in each one. Not surprisingly, the end result is that the only tried-and-true method for health, fitness, and weight loss is ... <drum roll please> ... diet and exercise. As a follow-up to the Dr. Oz post about supplements, John Oliver's video says it best. In fact, there is little else anyone could say as directly (yet still amusingly) about either the supplement industry or Dr. Oz and his accountability. When the issue comes up, just point people to the video. "The only problem," Oliver said, "is that magic pills don't technically exist. And Dr. Oz knows that." It wouldn't even be such a problem, he acknowledged, except that the advice and hyperbole is coming from a doctor. A trusted and likeable doctor. "Don't call your show Doctor Oz," Oliver suggested. "Call it Check This Sh*t Out With Some Guy Named Mehmet." But the best part is once he is finished with Dr. Oz, he goes on to skewer the entire regulatory process - or lack of it - for dietary supplements. "Dr. Oz is just a symptom of the problem. The disease is that dietary supplements in the U.S. are shockingly unregulated. None of this is likely to change, because companies have access to the one genuinely truly effective wonder drug. It's called lobbying." Surprise! The miracle weight loss solutions Dr. Oz schills are bogus. File this news story under "well, DUH." In shocking news that's neither shocking nor news, Dr. Oz admitted to Congress that many of the products he promotes don't stand up to scientific scrutiny. He tried to defend his desire for people to part with their money by calling himself a cheerleader. Which would be fine, except that he is also a doctor (presumably one who took the Hippocratic Oath to first do no harm), and his name and credentials carry a lot of weight. Pun intended. I've tried the crap he promotes. Garcinia Cambogia. Raspberry Ketones. Green Coffee Bean Extract. At best, they do nothing. I found the Raspberry Ketones gave me heart palpitations and made me feel funny. Not one of those products did I buy because of Dr. Oz, but on the recommendation of friends (for the latter two), or on someone in a supplements store (for the Garcinia Cambogia). The store even provided a handy glossy-print information sheet about the product. But none of these things became uber-popular until he promoted them as miracles on his show, at which point dozens of brands hit the shelves. And therein lies the problem. For whatever reason, this man has power. He has the power to promote health, and in some cases he truly does. (I mean, he'll talk about poop. He made the term "S poop" popular. Can't argue with that!). But I now dismiss everything he says because I don't trust what's true and what's hype. If he can't distinguish between the two, how is the average person supposed to? Tackling the issue of obesity is a two-fold process. It needs to be at a systemic level, so I'm glad that someone who is part of that system - a doctor, a celebrity, an information provider - has been called out on his questionable ethics. The entire diet industry needs more watchdogs pointing fingers at wild claims and poking holes in unscientific studies. It also needs to be at an individual level. We are all responsible for making our own decisions, even when it means navigating through some very murky waters muddied by misinformation. Do your research. Question everything. Especially question anything Dr. Oz says. Unless, of course, you want a cheerleader instead of a doctor. Are you overestimating the intensity of your exercise? I caught the tail end of a piece on Global news last night, about a study done on the intensity of exercise. The video is below. Not surprisingly, most people overestimate how intense they are working. Whether that's a mental trick of the mind, or that we're just not used to pushing our bodies as hard as we can, it's an important thing to take note of. For one thing, are you really burning as many calories as you think you are, if you track that sort of thing? Secondly, are you tricking yourself into thinking you've worked hard enough to "earn" that extra indulgence, thereby negating the work you've done. Finally, are you reaping the health benefits that you believe you are, that you intended to, if you're not working within the target zone that you thought you were? "Health Canada recommends adults between the ages of 18 and 64 should get 2.5 hours of moderate to vigorous exercise each week and sustained for ten minutes or more during each workout. Moderate activity should cause a person’s heart rate to reach 64 to 76 per cent of the maximum heart rate. Vigorous intensity, is when a subject’s heart rate reaches 77 to 83 percent of the maximum. Kuk says an accepted calculation to find a person’s maximum heart rate, is to subtract your age from 220." I'm a big believer in doing what you enjoy, that movement of any kind is a positive thing, and that nobody has an obligation to be active or healthy. But, for myself, if I have goals like weight loss and a healthy heart, then this is something to pay extra close attention to. Get your heart rate into the vigorous zone. I learned a new term recently: Physical Literacy. The early years of childhood are exceptionally important to all forms of literacy. Literacy and early childhood development have been on my mind today as I've been working on my portion of a presentation for a group of super-cool, intelligent women at a Girl Geek dinner being held next week at our library. For them, I'll be talking about Digital Literacy, because we are only just beginning to understand the impact of new technology and media on learning to read, write, learn, and socialize. In my line of work, "literacy" always has to do with the mind. So, I was somewhat surprised to come across the term "physical literacy." Surely, we've been talking about the need for physical activity in children for long enough that this should not be a new thing. Right? Well, yeah. Kids have been doing their own form of physical literacy for generations. Calling it physical literacy really just brings an old idea back into focus, and using "literacy" gives validity to being active. It's an interesting way of thinking about activity, though. Rather than playing (which puts the focus on creativity and imagination), or sports (which is structured, social, and competitive), talking about exercise in terms of literacy brings it back to the concept of building a foundation. Teaching basic movement skills so that opportunities are present later on. I had the opportunity to watch some of my friends' young children in a dance recital this weekend. I saw a lot of bodies, a lot of movement, and a lot of sequins and tutus. What struck me was how you could tell, even at the ages of two to five, that some kids were naturals at dance, and others ... had fun. But the basics were being taught. The focus was less on timing and intricate choreography. It was balance and simple steps and a twirl here and there, doing actions to match the words of the music, and keeping a general beat. As I sat there smiling, enjoying the costumes and art and pure joy of dance in some of the performers, I thought "yeah, THIS is physical literacy." Early Literacy means you are building a foundation upon which a child can grow. It all comes back to balance. Focusing only on one area doesn't allow for balanced growth. We all need the basic foundational skills in all areas as children, so that we try things out in order to figure out where our skills and passions lie. I wonder, too, how much putting the skills together helps to reinforce the literacy? For example, we offer the DrumFit program at the library. Using music and storytelling, children participate actively by banging drumsticks rhythmically on giant stability balls. The same ones we use at the gym. It blends the physical with the educational and it is all literacy. I'll be looking for brain-based research about the connection between learning and movement: do people learn better when there is a literal mind-muscle connection? I was never particularly good at many physical things. (Truth be told, I'm still not!). Eye/hand coordination is pretty bad, which rules out a lot of sports requiring the ability to hit a ball with a bat or a racquet. I have never had much speed, and the ol' knees have been old since puberty, so running was always a pain. That rules out an awful lot of games and sports, almost all of track and certainly most field events. I gravitated to the pool, because it was where I had learned the movements well enough to be confident and creative. In other words, the things which kept me physical were the areas which had been developed the most as a child. Physical literacy. I didn't train my body to do certain kinds of movements at an early age, and not only are they harder to learn now, it led to a disinterest in sports altogether. "A child with good physical literacy skills will be more likely to get involved in sports and continue to be physically active later in life, proponents say." As one parent notes in a National Post article, we used to think that reading and activity were mutually exclusive. You were an active kid, or you were a bookworm. Why can't you be both? Thinking about things in terms of literacy opens up the way we approach teaching children. Instead of being active for the sake of weight management, or even health, teaching children different ways to move is as essential to their future as learning the alphabet is. Canadian Sport for Life: what is physical literacy? The primary focus of every nutrition plan should be the health of the gastrointestinal (GI) tract. It doesn’t matter if you’re sedentary, an athlete, overweight, or lean. The gut is key to your optimal health. The GI tract is an impressive and intricate organ. About 30 feet long and comprised of trillions of cells, the GI tract provides a secondary line of defense (after the skin) against toxins, and is the primary line of defense for anything harmful we ingest. 70-90 percent of our immune system is found in the gut. Of the trillions of cells in it, 100 trillion are bacterial cells, and these cells have a profound effect on our health. First, they convert unabsorbed dietary sugars into short-chain fatty acids, which are a major source of energy for epithelial cells. Second, they adhere to the mucosa, forming a protective layer and blocking harmful bacteria. And third, they secrete immunoglobulin A (IgA or sIgA), which is an antibody that plays a critical role in immunity and helps prevent infection. The gut flora can also assist in preventing allergies by balancing the histamine response and down-regulating inflammation. such as NSAIDS, stress (physical, psychological, or physiological), radiation, immune deficiencies, and aging. When the health of the gut continues to decline, food sensitivities and autoimmune disorders can develop. Our digestive health and function largely determines our ability to maintain optimal health, fitness, and performance. Is permanent weight loss impossible? A controversial article came out last week, saying that it is scientifically improbable that people who lose weight will keep it off in the long term. Well, the headline was actually "obesity research confirms long-term weight loss almost impossible." Understandably, there were wide and varied responses. It hits pretty close to home for me, having lost a lot of weight (though I never felt like a success because I didn't reach an ideal or goal weight), kept it off for just over two years, and now it's going back on. I'm not special, I'm statistically boring! I mean, normal. I've been following the reactions, and the disappointing part is how predictable they are. How nobody is using it to really stop and think and discuss possible implications, but rather they interpret the findings according to what they already believe. Carefully read, it's actually a quite honest and balanced article. Pretty much the conclusions I've been coming to through blogging and reading: weight loss for the sake of weight loss is counter-productive, but attempts to get healthy (even when they don't lead to weight loss) are always valuable. The size acceptance, Health at Every Size, and anti-fat-shaming community jumped on the study as vindication, further proof that diets don't work in the long run, and a way to say "see? we were right all along." People in the nutrition and fitness industry found it negative and disturbing because they feel it gives people an excuse not to even try, and it goes against everything they believe (or get paid for). And the many individuals who are trying, who are on a public journey of weight loss on blogs, forums, Facebook, and Twitter, see it as a personal affront to their efforts and want to be the exception to the rule. In essence, everyone is right, and still nobody is. There is very little evidence of weight loss being maintained beyond 5 years. That's the main point to clarify: we're talking long term maintenance, not success stories of 1 or even 2 years. And as much as we want to believe that it's possible, that we all know someone who has successfully lost a lot of weight and "if they can do it, we can do it," clinging to that belief can give a sense of false hope. 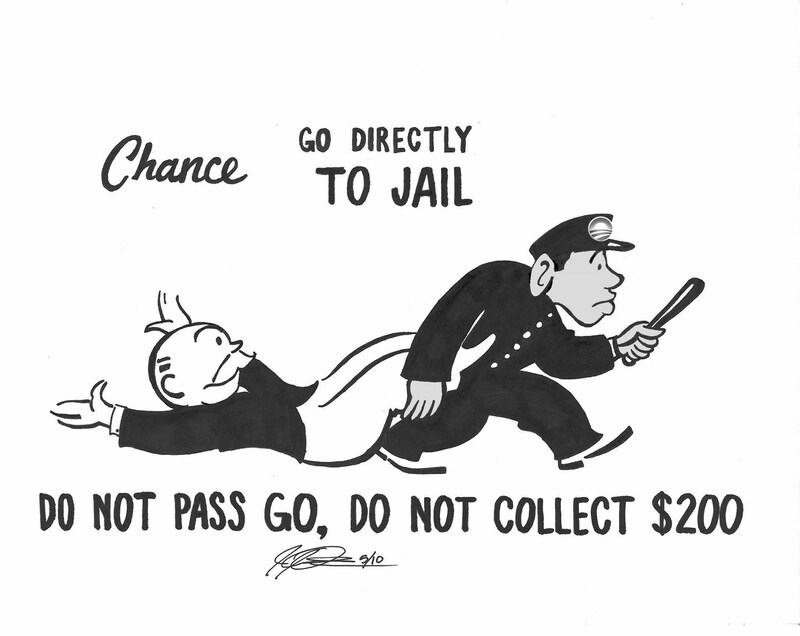 Worse, it sets people up for guilt, shame, regret, and loathing if they fail. With such a high probability of regaining the weight, is it right to continue wearing the rose-coloured glasses of denial? My question is about the research. It sounds to me like the people involved were put on fairly strict diets, in "highly controlled experimental settings." Is it reasonable to expect long-term compliance with something which does not take into account your own sense of control? Think of it like rehab. Detoxing and getting sober within the confines of a facility is often the easiest part for an addict. It is maintaining sobriety in the real world, full of temptations and road blocks and pitfalls, where relapse occurs. It's the same issue I have with shows like Biggest Loser, because they're living on a ranch in isolation and there's external control over what food comes in and out. Contestants spend very little of their time in the real world before the show's finale, and then aren't allowed to talk about how hard it is to maintain habits in a real-life context. What really failed, here? Dr. Yoni Freedhoff asks the question: "does it mean the people in the included trials failed to maintain their interventions, or does it mean that the interventions were too crappy to be sustainable in the first place?" What this article and study should be is a call to arms to re-examine how we go about weight management. Too often, people are told to lose weight with a simple eat less, move more mantra that just.doesn't.work. That seems to be proven time and again. It's why I hate the concept of a diet. Rather than determining that weight loss is impossible, we need to be looking for better solutions. Different ones than the same-old tried-and-not-true-but-try-again-anyway solutions. Ones which can be sustainable long-term. The catch phrase for this is "lifestyle change" but we need more. Lifestyle change is usually a code word for "diet" when restricting and tracking is involved. True change is bigger than the individual. It's not just about changing your own habits, it's about working to change the society we live in, the sedentary environment which makes movement and exercise something you have to actively seek out instead of being part of a daily routine. It's about changing food industry standards and legislation and what kind of chemical crap gets approval for consumption. It also highlights just how prevalent fat stigma is, because there is no question in anyone's mind in this article (and others related to it) that obesity is something to be cured. What if we stopped making fat the enemy - as in, looking fat, carrying fat, being over a rather arbitrarily set body weight ideal - what if fat wasn't the worst thing you could be? Would the approach to HEALTH change, then? Would we focus on the whole person and quality of life and not simply on one's size? The biggest flaw that I see with the article is that "science" covers a lot of bases, which is why everyone is right, and everyone is wrong, when they interpret it in this case. If you tell me that weight loss is biologically impossible, akin to growing taller, that's a pretty different story than if it is psychologically improbable. The studies referred to revolve around human behaviour. Biological findings about the body holding on to fat cells, or mutations in hormones, or increases in ghrelin levels - THOSE are the kinds of findings that could lead to a conclusion of "impossible." It's an example of sloppy writing (or genius, if the point was to generate controversy and outrage). The article is not without bias, but that doesn't mean that it should be dismissed entirely, as many commenters seem to do. The byline of "no known cure for obesity except surgically shrinking the stomach" should trigger some warning signals in any logical person's head. First of all, treating "obesity" as a disease, as something to be cured, is a fallacy. Obesity describes the amount of fat you have in relation to your height. It does not indicate your health status. The evidence for surgical weight loss success is also pretty negative, spotty at best, and to start with the premise that the only cure is surgery suggests a strong bias by the reporter. She even acknowledges the drawbacks and failures of surgery in the body of the article, yet leads with such a byline about surgery. Red flag. Nobody is suggesting that we just give up. Read the comments on any of the forums and you'll inevitably find someone saying "this is just an excuse for 'them' to be lazy and stay fat." The biggest point missed is that the health benefits from exercise and trying to eat better still exist, even if the weight never comes off. The focus on "obesity" itself is the red herring, here. Why, why, why do we insist on conflating correlation and causation? We talk about obesity as if the diseases which correlate to it are a given. You are super-fat? You will get diabetes. You will die of a heart attack. No, no, no. The risk factors increase exponentially, but there's not a direct-line connection. It's like smoking. Not every person who smokes gets lung cancer, and not every person who ever had lung cancer was a smoker. The likelihood of a smoker developing cancer is high enough that we associate the two. The difference with obesity is that the fat alone is not what causes various diseases, it's what makes the body's environment ripe for various diseases to occur. You know what helps change that? Fitness. Health. Nutrition. All of which can occur with and within a body that stores extra fat. So, is weight loss a hopeless endeavour? Not at all. But clearly, in order to have long term success, it takes constant vigilance. I don't see how acknowledging that is negative. You have to be prepared for it. Willpower alone is not going to keep motivation going ten years down the road. There will be ebbs and flows, highs and lows, and the habits developed early on may not continue to work once the body gets used to them. There are some habits which seem consistent in those who have maintained their weight loss: weighing every day, writing down what they eat, and continuing to exercise. Tracking seems especially significant, which means it's something you are constantly thinking about. That makes sense to me. It's when you let down your guard for a moment of complacency that it's easy to slip up, and believe me: it's a slippery slope after that. Correlation is not causation. Nothing is a done deal. But let's keep our heads out of the sand, and our eyes wide open. Long-term weight maintenance is an uphill battle, and to pretend otherwise just makes it that much steeper.